Jay-Z is taking a break from recording music to spend time with his new daughter Blue Ivy. If you're itching for a new Jay-Z record, you can go and brush your shoulders — er, copy of "The Blueprint" — off, for now anyway. 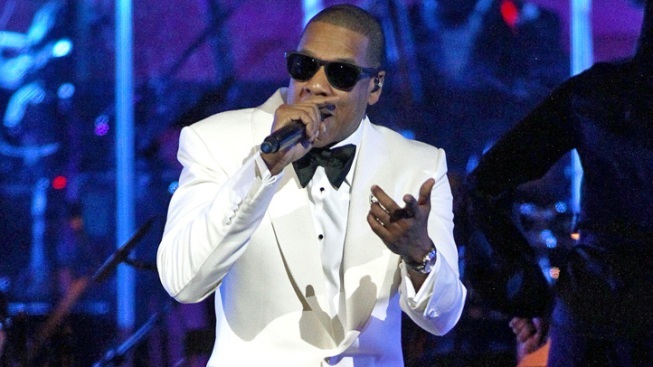 Hov told CNN he won't be heading back into the recording booth anytime soon. He's too smitten with fatherhood, now that he's become a proud parent with wife Beyoncé to daughter Blue Ivy. "I thought I'd be really motivated with all the things that are happening and all the change — you know, the child in my life now — to get back in the studio. But I find that I'm really just motivated to just be with her," he told CNN. "I just wanna enjoy those moments for a bit and I'm sure that feeling of music will come back to me," he added to MTV News. "It's fantastic. It's amazing. It's just a real surreal thing," he said. The MC also recently said he agrees with President Barack Obama's recent announcement of his support for gay marriage — an announcement that could prove a watershed moment for hip-hop, which historically is less than gay-friendly. "I've always thought of it as something that was still holding the country back," Jay-Z told CNN of the fact that gay marriage isn't legal throughout the U.S. "It's discrimination plain and simple."